First of all, I looked up newb to make sure I spelled it right and it's in the dictionary. Not just a slang dictionary either- Merriam-Webster. Thought that was funny. 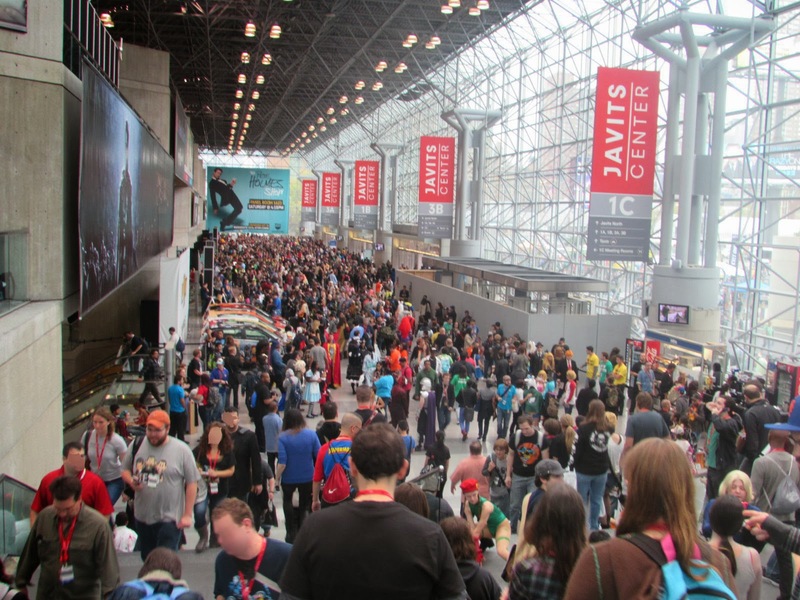 There's a reason 3-day passes to NY Comic Con sell out. You don't try to conquer that show in one day. You just can't. I waited too long to buy my ticket and had to settle on a Friday pass. My legs hurt so bad. I bought Dr. Scholl's inserts hoping they'd help. They did. Kind of. But, I was there from 12:30-7pm with only short breaks. Nothing would've saved my feet and back. 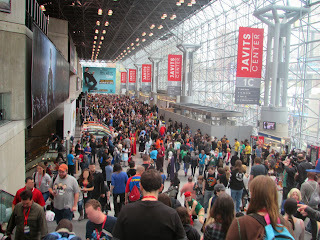 The amount of people at the Jacob Javits Center was epic. I love that center, but it's obscenely big. You had to pack your patience. I spent most of my time pushing past people. It's worse if you're standing in a crowd trying to get a picture of some epicness at the center of it. I'm 5'4. All you short people out there know how aggravating it is trying to see over a crowd. Good thing I bought my fancy camera. I got a Canon SX510 just for Comic Con. Well, not just for Comic Con. I'm gonna keep using it. It's the most awesome camera ever! 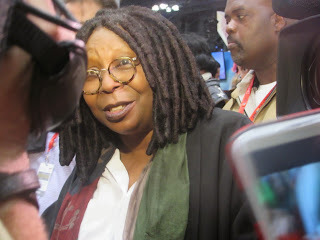 Looks like I was right beside Whoopi Goldberg doesn't it? I wasn't. The crowd around her made sure of that. I got stuck in this one area of the show that had some cool video game and anime merchandise. I was seriously walking around the same aisle for like hours. I couldn't decided what to buy. I stopped at every booth that had swords. 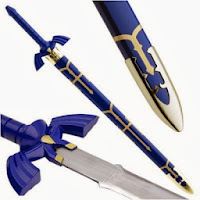 Yes, I would be that person who'd collect swords from anime and video games. I'd like to say I own Hyōrinmaru- a Zanpakuto (sword) from Bleach. But, I resisted even though they didn't cost as much as I expected. Link's Master Sword almost tripped me up. I like Zelda. I'm attracted to anything related to that game. One booth had the Ocarina. It sound just like the one in the game. Awesome. I resisted. 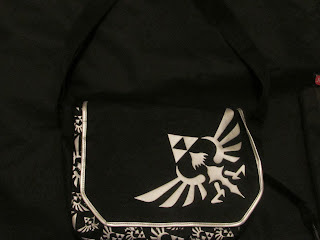 I came across a cool replicate of Link's shield. I resisted. 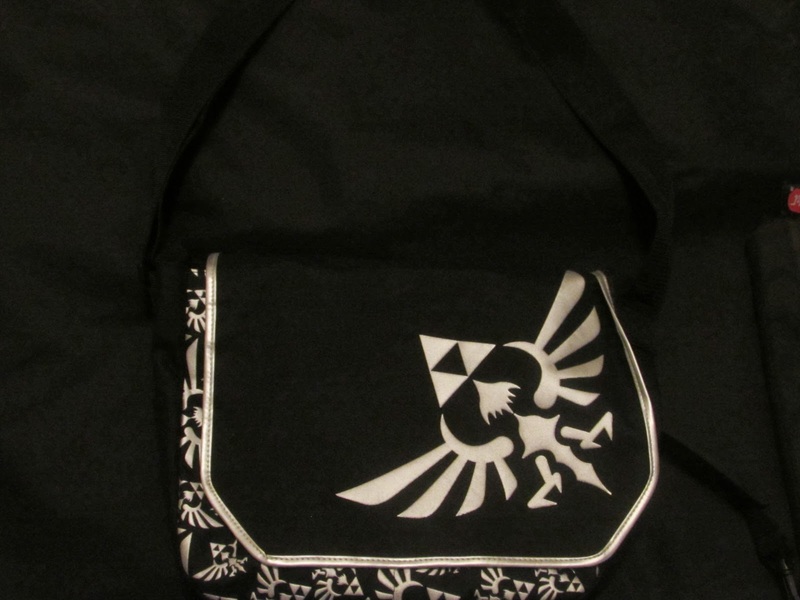 Saw a Zelda messenger bag and folded. I'm not a big shopper. For Comic Con, I'm thinking I gotta buy what I see as long as it fits in my budget. Usually, when I shop, I see something I might like then, I walk around for a bit while I think about buying it. 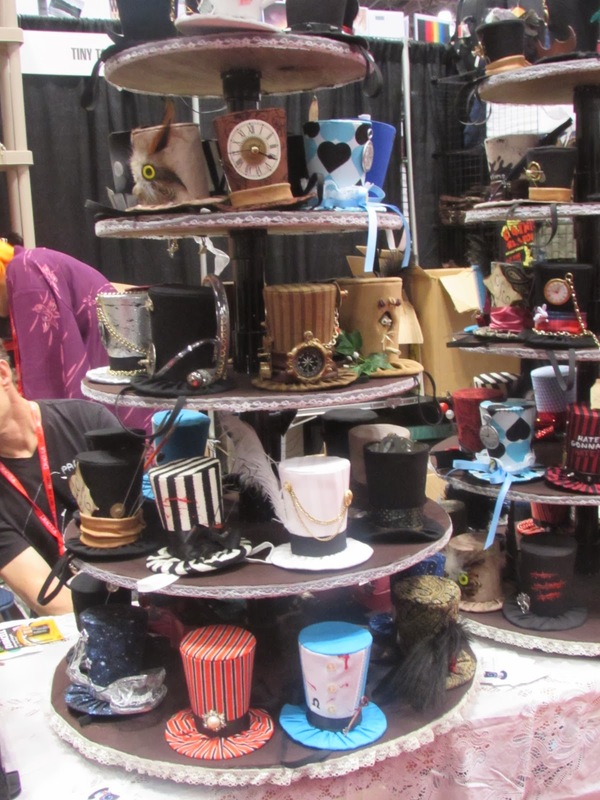 Did the same thing for Comic Con, didn't buy most of what I saw and regretted it later. I was just so overwhelmed. I couldn't make a decision. Still thinking about those gorgeous hand-sewn leather journals from Poetic Earth LLC. I didn't remember the name. 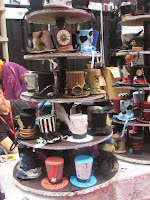 I Googled "leather journals "NYCC"' and found them. The power of Google. Fortunately, I spent less at Comic Con then I expected. 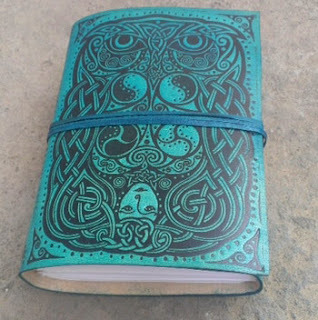 I ordered a journal from their website. Should've got it when I saw it. I spent so much time in that one area that I completely neglected a big section of the show. Didn't realize it until it was too late. Since I planned on being there all day, I attended some panels. Didn't work out the way I wanted it to. I didn't leave my apartment early enough. I missed 3 I really wanted to attend. 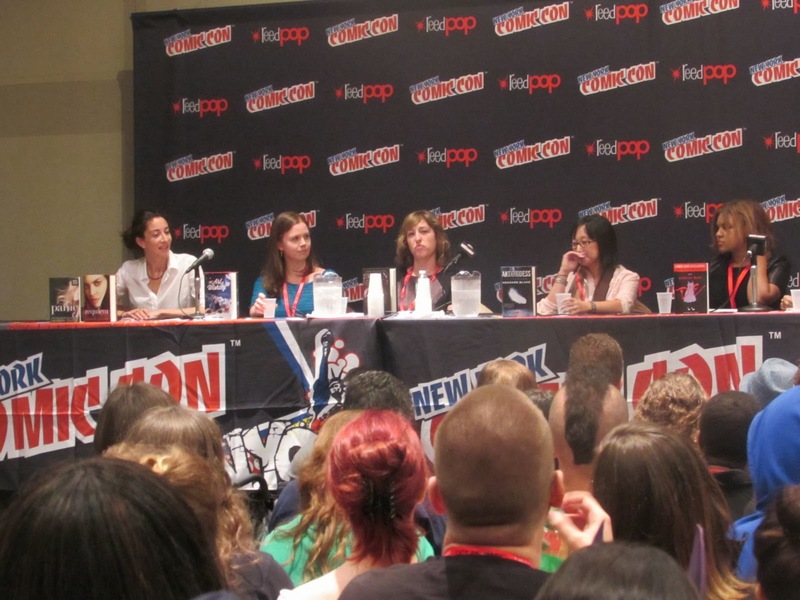 I made it in time for a panel on creating strong female protagonist. 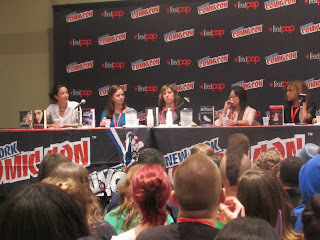 The panelist were YA authors I'd never heard of, but their books sounded interesting. It got me thinking. Calling a female protagonist strong is a weak description. The moderator mentioned this article that said a male protagonist is usually a list of all these amazing characteristics while the female is simply called strong. Never thought of it that way. Moral is- buy ticket early to get a 3 day pass. Hopefully, next year, I'll have the money to do just that. Still had a great time! Too see more pics check out my Facebook Page! What was the difference in cost between the 3 day pass and the Friday only pass? 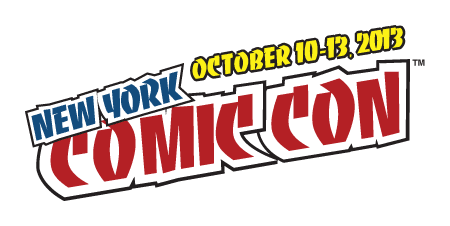 The 3 days pass means you can go to Comic Con Friday, Saturday and Sunday. My pass only let me go on Friday. I'm so jealous. I really wanted to go but couldn't. :( Glad you had a good time though. There's always next year. ;) I keep reminding myself that. There was no much I didn't do. 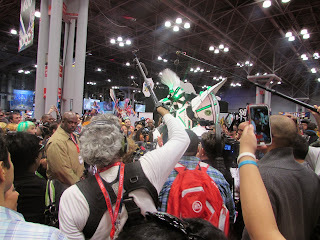 I do a few things on the sidelines of the industry in terms of website staffing... and yet I've never been to a comiccon. I know a lot of big news came out over the weekend there. It didn't hit me until I was going over the schedule that a lot of big industry news is released at Comic Con.